Dublin is an amazing city with lots of things to do. From interesting museums, awesome nightlife, imposing castles to amazing ancient sites, Dublin is a good base for your Ireland adventure. However, if you find yourself running out of things to do in this Irish capital, there are several day trips from Dublin that you can do. Here are the 10 best day trips from Dublin. Trim Castle is a Norman castle on the south bank of River Boyne in the town of Trim and currently the largest Anglo-Norman castle in Ireland. Built in 1173 by Hugh de Lacy, the castle was used as a center of Norman administration for the Lordship of Meath. It is also probably best known as the setting for Mel Gibson’s Braveheart. The castle boasts imposing twenty-sided towers protected by curtain wall and moat. It was a great example of the experimental military architecture during its period. If you want to learn more about the legacy of this castle, this day trip from Dublin is a must. €5 per adult, €3 for student and €13 for a family of 4. It includes access to the Trim Castle grounds and audio-visual show at the visitor center. You can get the ticket from the visitor center. If you don’t have a car, you can take the Bus Éireann (#111) from Busaras station in Dublin to Delvin (Opp Gaffneys) and get off in Trim Castle. It takes about an hour or you can take the Bus Éireann (#109B) to Knightsbrook Hotel and get off at Opp Boyne Bridge By-Pass in Trim. This takes a bit longer than Delvin by 10-15 minutes. From the bus stop, take a walk towards the castle entrance. It’s about 500 meters from both bus stops and it takes about 5 minutes. The bus fare is about €10-12 one-way or €20-24 for a round trip and they have buses that leave every hour. 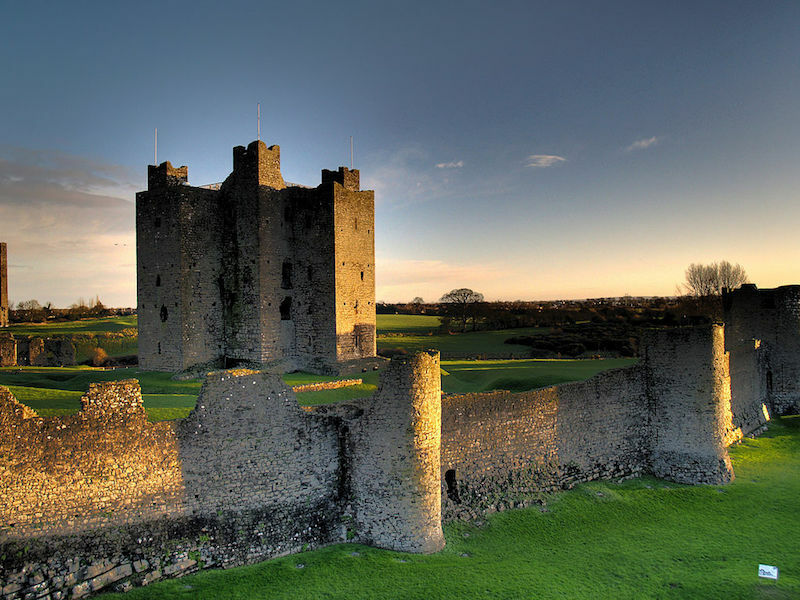 Or you can check out this tour for €49 which includes Trim Castle, Boyne Valley, and Drogheda Tour. Which is a steal given that it includes transport and admission fees! 6 hours. You have 3 hours for the journey and 3 hours to explore the castle and the surrounding area. Opening hours varies depending on the season. For an updated list of opening hours, click here. Wicklow Mountains National Park is the largest national park in Ireland with an area covering more than 129,500 square kilometers. It is also the only one located in the east of the country. It extends from County Wicklow and a small area of Dublin. The park contains a variety of attractions that include lush forests, fields, and mountains, and the historical Glendalough Valley. 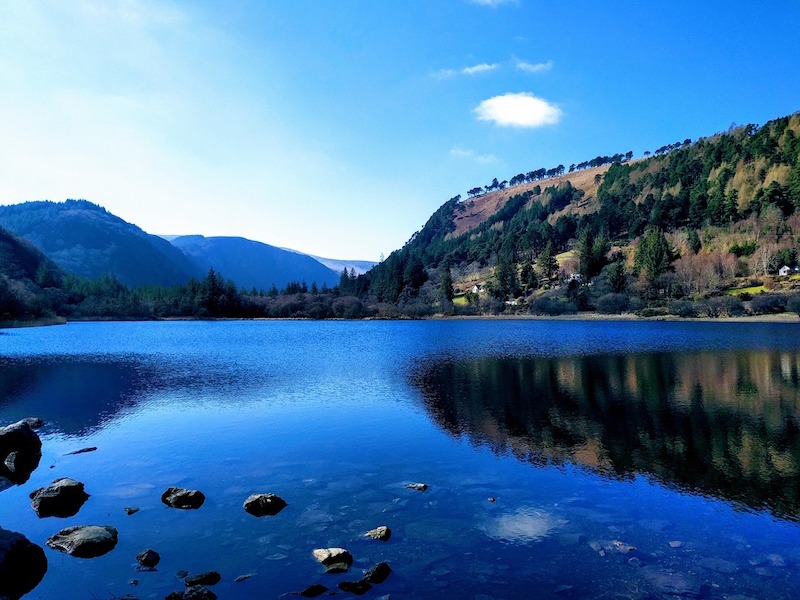 Glendalough features early medieval monastic structures and Glendalough lakes. Admission is free to the national park. Without a car, going to Wicklow Mountains National Park from Dublin is expensive and much more complicated. You can take a bus from Portobello, Richmond Street Sth (Lennox Street) bus stop to Poolbeg Street – Valleymount Road through Dublin Bus #65 and get off in County Wicklow, Valleymount Road. This costs about €10 for about 1.5 hours. Then take a taxi to the Wicklow Mountains National Park which costs between €35-50 for half an hour ride. Or you can take this day tour for €35 per person including Wicklow Mountain, Glendalough & Kilkenny. It also includes pick-up and dropoff in Dublin which will save you over €80 for transportation alone. Allocate between 7-8 hours so you have ample time to explore the national park. The park is open at all times but the visitor center is only open from May to September daily between 10 am to 5:30 pm. From October to April during weekends from 10 am to 4:30 pm. If you are planning to stay in the park, for more information click here. The Rock of Cashel, also known as Cashel of the Kings and St. Patrick’s Rock, is a historic site located at Cashel in County Tipperary. It is one of the most spectacular attractions in Ireland and also one of the most visited. This iconic landmark was the seat of the High Kings of Munster and was built between 12th to 13th century. Take the Dublin Airport – Cork Parnell Place bus (Bus Eireann #X8) from Outside Heuston Train Station to Main St. Get off at Main St and walk for about 10 minutes (800m) towards the entrance of Rock of Cashel. The bus ride takes about 2 hours and it costs about €24-29 one way or €48-58 for a round trip. The bus also leaves every 4 hours so plan accordingly. 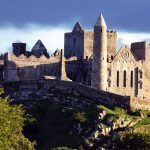 Or you can take this day tour for €75 per person which includes a trip to Rock of Cashel, Cahir Castle, and Cork City. This will give you an option to plan your time better and explore more places. 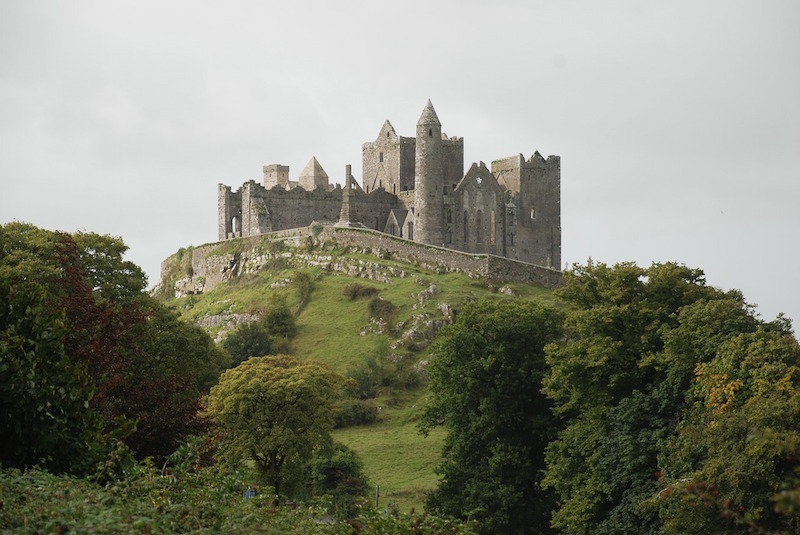 Allocate between 7-8 hours so you have ample time to travel and explore the Rock of Cashel. 9 am to 4:30 pm during winter and 9 am to 7 pm during the summer. One of Ireland’s most popular attraction is Blarney castle located in Blarney, County Cork. Built nearly six hundred years ago by one of Ireland’s greatest chieftains, Cormac MacCarthy. Surrounding the castle are extensive gardens. There are paths touring the grounds with signs pointing out the various attractions such as several natural rock formations. Aside from the castle itself, the place is also popular because of Blarney Stone. In order to get the gift of eloquence, for over 200 years many famous people from around the world climb the stairs to kiss the famous Blarney stone. There is an ongoing debate over the story of Blarney stone but no one has been able to prove the origin of the stone. €16 for adult, €13 for student and seniors, and €40 for the family. For more information regarding booking, click here. The fastest way to get to Blarney Castle using public transportation is through the train and then bus. However, it will have few connections. Take the Irish Rail to Cork Kent (about 2.5 hours for €45-65). Get off at Cork Kent and then take a bus from Kent Station to CIT Campus and get off at St. Patrick Street (O2 Store). It’s a short trip for 8 minutes (€3-5) and then take another bus from St. Patrick St (Drawbridge St Jctn) to Blarney Village. The bus trip is about 30 minutes for €5-6. Then walk from Blarney village to Blarney Castle for another 7 minutes. In total, transportation might cost between €53-76 for one way trip and it might take between 3.5 to 4 hours of journey. Or you can take this day tour for just €50 per person which includes Blarney Castle, the gardens, and shortstops in Cork City and Rock of Cashel. 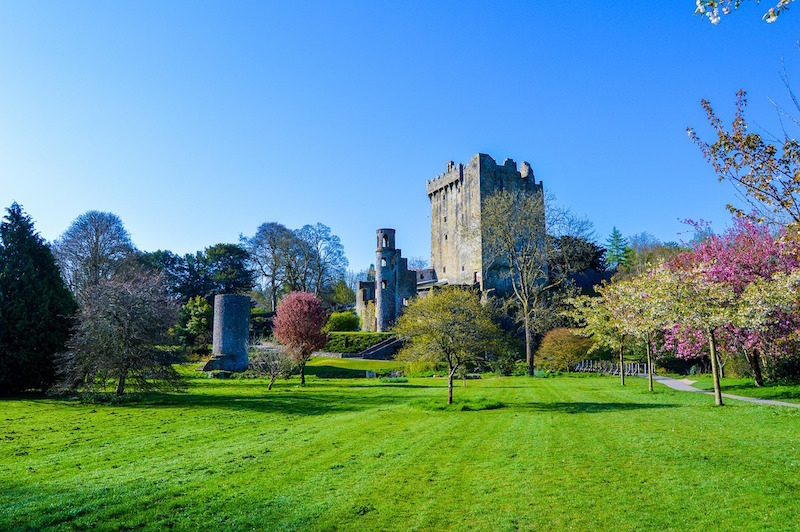 Allocate between 11-12 hours so you have ample time to travel and explore Blarney Castle. The Giant’s Causeway is an area of about 40,000 interlocking basalt columns, the result of an ancient volcanic fissure eruption. It is a UNESCO World Heritage Site and a national nature reserve. It is located in Northern Ireland and it is about 3-4 hour drive from Dublin on a rental car. Game of Thrones grew in popularity for the past 7 years. The TV series focus in the medieval realism which shows several medieval and exotic locations. These locations also grew in popularity that tours to these locations have become coveted by loyal fans. 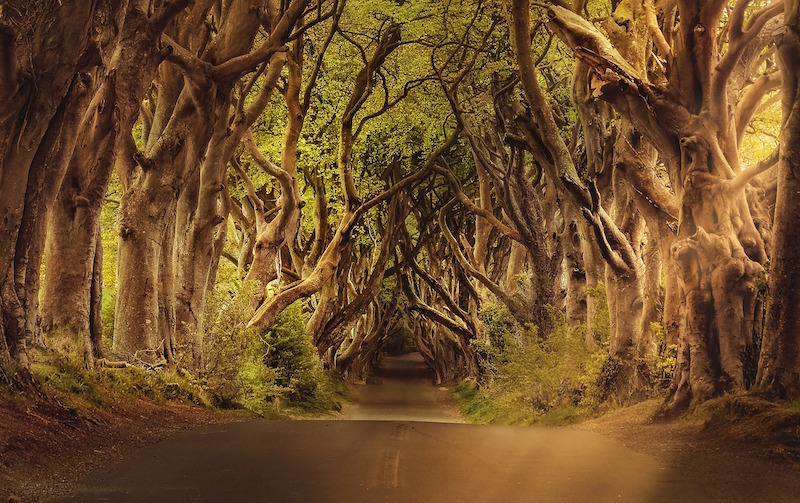 In Northern Ireland alone, there are over 10 locations where you can experience Game of Thrones in real life. The access to the Giant’s Causeway is free however the visitor center charges £8.50 per adult and £21.00 for a family of 4. Using public transportation, it might take between 6-7 hours to get to the Giant’s Causeway. The fastest option is by taking a train to Northern Ireland and then bus. Take a train from Connolly to Belfast City Centre in Lanyon Place Train Station. This takes about 2 hours and can cost between €30-45 one way. Transfer to Belfast Central station and take a train to Coleraine station. It takes about 1.5-hour ride for €10-14. And from Coleraine Bus Station, take a Translink UK bus to Aird Giants Causeway The Nook. It’s about half hour ride for €4-7. Then walk towards Giant’s Causeway. Giant’s Causeway is about 1.5km from the bus stop. Or you can save yourself a massive headache by taking this day tour for half the price. The tour includes Giant’s Causeway and the filming locations of Game of Thrones. The opening hours varies depending on the season. For updated opening hours, click here. The Cliffs of Moher are sea cliffs located in County Clare, Ireland. It is one of Ireland’s most spectacular sights and one of the most visited attractions in Ireland with 1.5 million visitors annually. Standing 702ft above the ground at their highest point and 8km long, the Cliffs boast one of the most amazing views in Ireland. 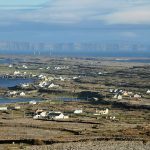 In a good day, you can see the Aran Islands in Galway Bay. Cliffs of Moher is one of the best day trips from Dublin and a day tour from Galway. For a complete list of the admission fees, click here. Cliffs of Moher is over 266 kilometers from Dublin. If you don’t have a car, you can take 2 connecting buses that go directly to Cliffs of Moher. From Burgh Quay, Dublin City South, you can take a Bus Dublin Coach to Dunnes, Friars Walk. This takes about 3.5 hours for €20-25 one way. And then from Friars Walk, walk to Ennis Bus Station to take a bus that goes to Cliffs of Moher Visitor Centre. This takes about an hour for €9-11 a trip. Then from the bus stop, just walk about 5 minutes to get to the entrance of the visitor center. There’s also a Citylink bus from Temple Bar, Crampton Quay that goes to Cliffs of Moher via Gmit. Travel time and bus fare are almost the same. Or you can also take this day tour from Dublin that only cost half of the transportation. It also includes a shortstop to Galway and Burren. It might take 6 hours one way to just get to the cliffs so it’s better to allocate at least 14 hours to enjoy the place. 8 am to 7 pm although, during winter, the cliffs are closed by 5 pm. Kilkenny Castle was built in 1195 to control a fording-point of the River Nore and the junction of several routeways. It was a symbol of Norman occupation and it is an important site to the history of Kilkenny. In 1967, the Castle was transferred to the people of Kilkenny for £50. 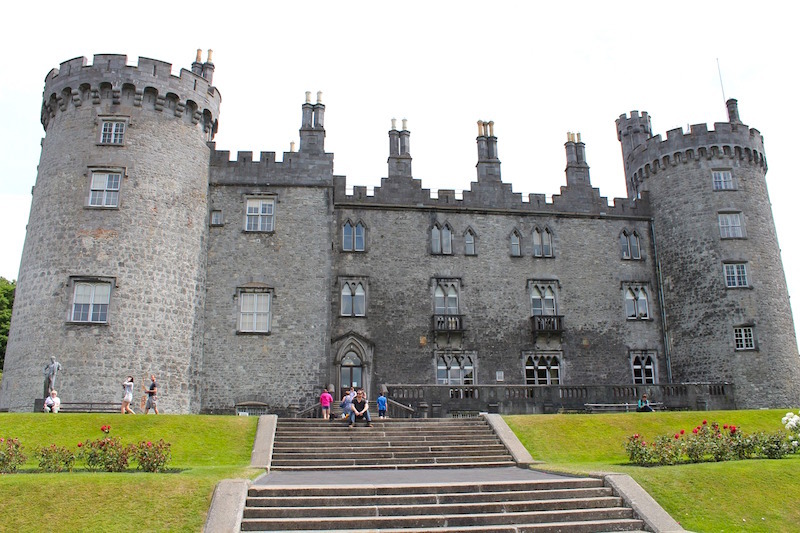 The Kilkenny Castle is now one of the very few castles in Ireland that offer tours to the public. The garden and park in the castle complex are also open to the public. The city of Kilkenny is one of the most beautiful and charming Irish cities. 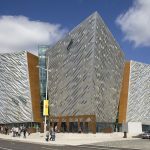 Located in the center of Ireland, it has a charming medieval center, lively pubs, and a dynamic art scene. Because of this, there are many unique things to do in Kilkenny, Ireland. From its majestic creeper-clad castle, a bustling crafts industry, cobbled lanes, beautiful churches, and secret passages, Kilkenny will surprise you in many ways. From Dublin, you can take the bus that goes directly to Kilkenny from Dublin City South, Burgh Quay station. It takes almost 2 hours for €6 – €10 for Dublin Coach or €11 – €14 for Eurobus. They have buses that leave every 3 hours so plan accordingly. From Kilkenny, Ormond Road bus stop, you can easily walk for 5-10 minutes to go to the castle. You can also take a train from Heuston station to Kilkenny MacDonagh station. This takes about the same time as the buses but more expensive at €23- €35 for a one-way trip. Then walk from the station to the town center and the castle. Or you can take this day trip to Kilkenny and Wicklow Mountain for only €25 per person. Allocate at least 7 hours to fully enjoy the trip. Below the hilly headland at the northern boundary of Dublin Bay lies the small fishing village of Howth. It is an only half-hour drive from Dublin which makes it one the most convenient day trips from Dublin. There are so many things to do in Howth which includes a castle, hiking trails, amazing seafood, and charming coastal village. Depending on the activity, it is free sightseeing around the village but the Castle has an admission fee. For any booking information to the castle, click here. You can reach Howth using DART which is a fast train service from Dublin’s city center. Return ticket costs €4.70 from Connolly, Tara or Pearse stations in the City Centre and is valid for one day. There are trains every 15 minutes. 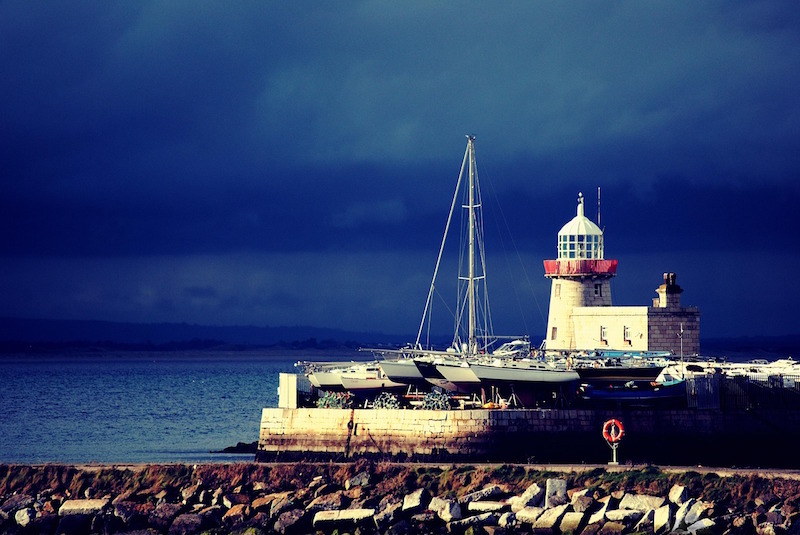 Or you can take this day trip to Howth from Dublin. 4-5 hours should suffice to explore the highlights of Howth village. 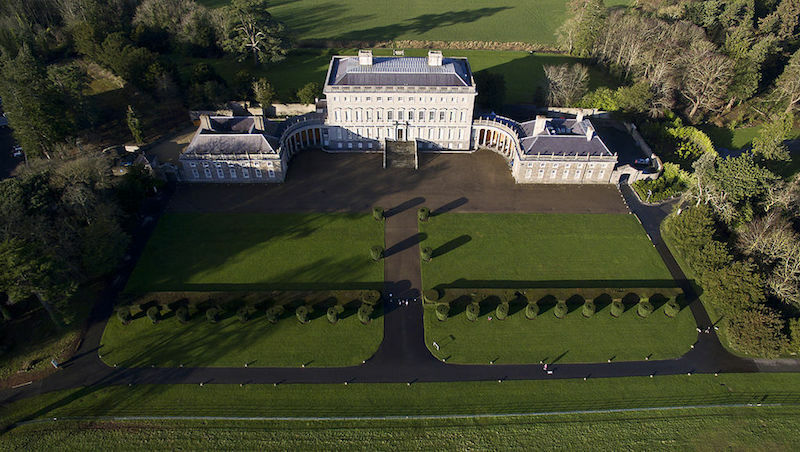 Located in County Kildare, Castletown House and Gardens is Ireland’s largest and earliest Palladian-style estate. It was built between 1722 and 1729 for William Connolly, speaker of the Irish House of Commons and the wealthiest commoner in Ireland. You can explore the parklands, the river walk, temple and the garden inside the estate. The grounds of the estate is accessible to the public for free but there’s an admission fee inside the house and one must book in advance. €10.00 for adult, free for children below 12, €5.00 for 12-17 years old and €25.00 for a family of 4. Take a Bus Eireann bus (#120) from Dublin, Halfpenny Bridge to Celbridge, Celbridge. This takes about 30 minutes. Then walk from Celbridge bus stop to Castletown House for 15-20 minutes. Bus fare is between €6-8. You can also get this Dublin pass to give you an access to over 30 attractions around Dublin. 4 hours should suffice which makes it one of the best half-day tour from Dublin. 10 am to 6 pm but it closes earlier in winter. To get the updated schedule, click here. Brú na Bóinne (Palace of the Boyne) or popularly known as the Boyne Valley tombs are passage tombs located near River Boyne, 8 km west of Drogheda. The site covers over 780 hectares where the majority of the monuments are located on the north side of the river. It contains one of the most important pre-historic landscapes in the world dating back from Neolithic period. 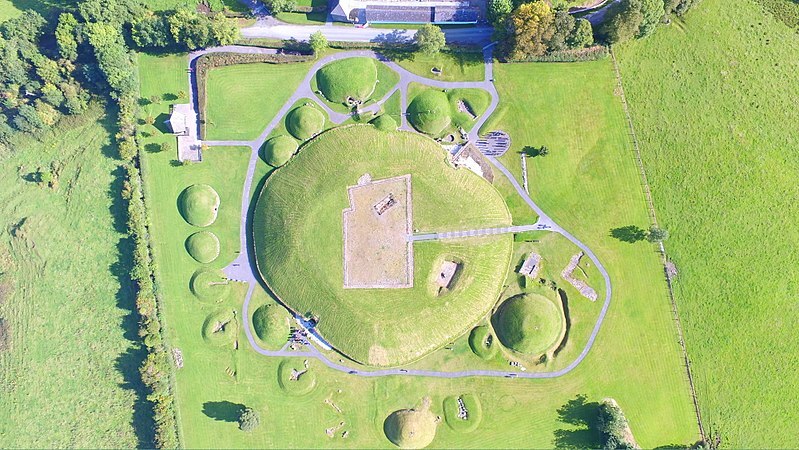 Bru na Boinne is famous for its Megalithic passage tombs called Knowth, Newgrange, and Dowth. Brú na Bóinne is only less than 40 km from the city which makes it one of the most popular day tours from Dublin. Take a train from Connolly Station (Irish Rail) to Drogheda. Trains leave every hour and it takes an hour to get to Drogheda. Train fare is between €9-€14 for one way. Then from Drogheda station, take a taxi to Brú na Bóinne in Drogheda. This might cost between €14-€17 for an almost 9km trip. Still looking for the best place to stay in Dublin? Check out our best hotels in Dublin guide here. This is great! I really need to get back to Ireland. Some of these I already had on my must see list but a lot of them are new! Thanks for the info! Dreaming of the day we can get to Ireland! It all looks so gorgeous! The bright greens and the beautiful castles! Looks like there are lots of great day trips! I’ve never been to Dublin before, but now I want to go there just to do all these day trips from Dublin lol. Those castles look absolutely amazing, would love to visit them, thanks for sharing! 10 full days seem so epic! I will visit Dublin sooner or later and take your recommendations as a guide! Wow! I used to study these castles during my History of Architecture class! Thank you for including the admission fees! Very informative blog! Great pictures, it is why I wanted to visit Dublin mainly because of the filming locations in Game of Thrones. The Giant Causeway is really stunning. I hope I can go there soon. I have a friend from Dublin who has invited me to visit her for a long time. Your post made me fall in love even more and convinced me even more. Thank you so much for the inspiration. The photos are awesome. Stunning photographs, so beautiful they look almost unreal! I really want to go and visit all of these places! Thanks for the great suggestions. Ive always wanted to visit Ireland after watching the Game of Thrones. The scenery is so beautiful and mesmerizing. It is definitely on our bucket list. Frankly, I am not big on castles. But the compilation that you have presented here has almost changed my mind. Maybe I will start including more castles in my itineraries for Europe. All of these day trips look amazing and the national park looks especially beautiful. I’ll keep these in mind for when I finally make it to Dublin. Dublin is one of my favorite cities although I was only there for a short time. We did Howth and a castle but didn’t have time to do too much more. This gives me incentive to go back! wow Game of thrones location is so nice! Want to visit it absolutely! I still need to make it to Dublin. Good to know there’s lots of good things to do in the area. Detailed post with stunning photographs on Dublin sightseeing. Curious to visit Ireland. Never been to Dublin or even to Ireland to be honest. How is it?? My sister was there many years ago and she loved it. The photos are amazing. So many things to do and see there. Lovely post coupled with lovely photographs! Giant Causeway is already on my list of things to do when I travel to Ireland. Bookmarking your post for future reference and pinned it for others who are planning to visit Ireland sometime soon. Dublin is one of the last European capitals I still haven’t visited but after reading this post, I’ll have to change that soon. I’m visiting Dublin for the first time at the end of January 2019. I’m not sure if there will be enough time to go on a day trip from Dublin, too, but I’ll keep you great suggestions in mind if there is. 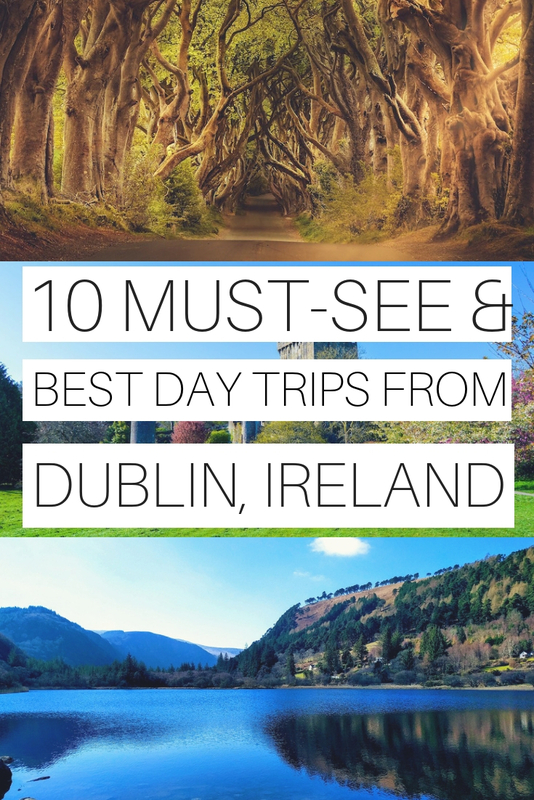 Happy to discover this guide on 10 day trips from Dublin. Someone we know has recently moved there and would share this guide with them so they make best of their stay! Thanks for providing all the details. I really would like to visit Ireland and especially Dublin soon! 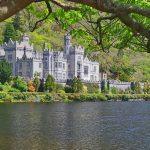 So thank you for sharing these day trips from Dublin! I heard many good things about the Cliffs of Moher, spectacular place! I love Dublin, its one of my favourite cities to visit. I love this post as there is so much on this I have seen and some I need to see. What a fantastic post! It includes all of the places I want to see in Ireland, the Cliffs of Moher, all the Irish castles, not to mention the Game of Thrones locations! Did you kiss the Blarney stone?! I will definitely be pinning this post! I was in Ireland for a month, and I still haven’t seen so many of these! Thank you for the inspiration to get myself back there soon! These are amazing and I wanna go everywhere! My fave is the GoT forests , of course lol and the Blarney Castle & Giants Causeway. Never heard of Howth but it looks very beautiful as a small fishing village. Lovely day trips. Beautiful Cashel, Co Tipperary, is home to the iconic Rock of Cashel, one of the most popular and spectacular tourist attractions in Ireland. Cashel’s rich colourful history is reflected in its buildings, which range from prehistoric raths forts, to mediaeval monasteries, fortified town houses, and, of course, its great Georgian Cathedral.